Every Writers’ Wednesday, a successful self-published author shares his or her favourite book promotion tip here. I met Edward Hancox via SilverWood Books‘ Open Day at Foyles bookshop in Bristol in January, where he gave an excellent talk about how he crowdfunded the production of his first self-published book, Iceland Defrosted, a bestselling travelogue about his passion for that country and all things Icelandic. I’d read and enjoyed his book when it was first published, and had never met Ed in person before. Even so, I could tell straight away that he was a personable chap and very much at home in Foyles. So it was no surprise that his top tip for book promotion involves relationship building in bookshops. Over to you, Ed, and thank you for sharing your experience and wisdom with us all. Debbie Young: What’s your favourite book promotion tip? It doesn’t need to be the one that sells the most books – it could be the one you enjoy most. Edward Hancox: Book shops. Don’t forget bookshops, and especially independent ones. The big chains might not even talk to you (or worse, one actually lied to me! ), but I’ve found independent bookstores to be very supportive. My local one – Wenlock Books – has sold over 70 copies of my book. A book shop in central Reykjavík stocks my little book. I’m also stocked in cafés (can’t beat coffee and a good book) and a record shop. The high street isn’t dead – if you support retailers, you’ll be surprised how much they support you. Edward Hancox: I enjoy book shops, record shops and drinking good coffee. This is a great excuse to indulge in all three! I also get a huge kick out of seeing my book for sale, as an actual book, from a real shelf, in a physical location. Something that ebooks will never be able to compete with. 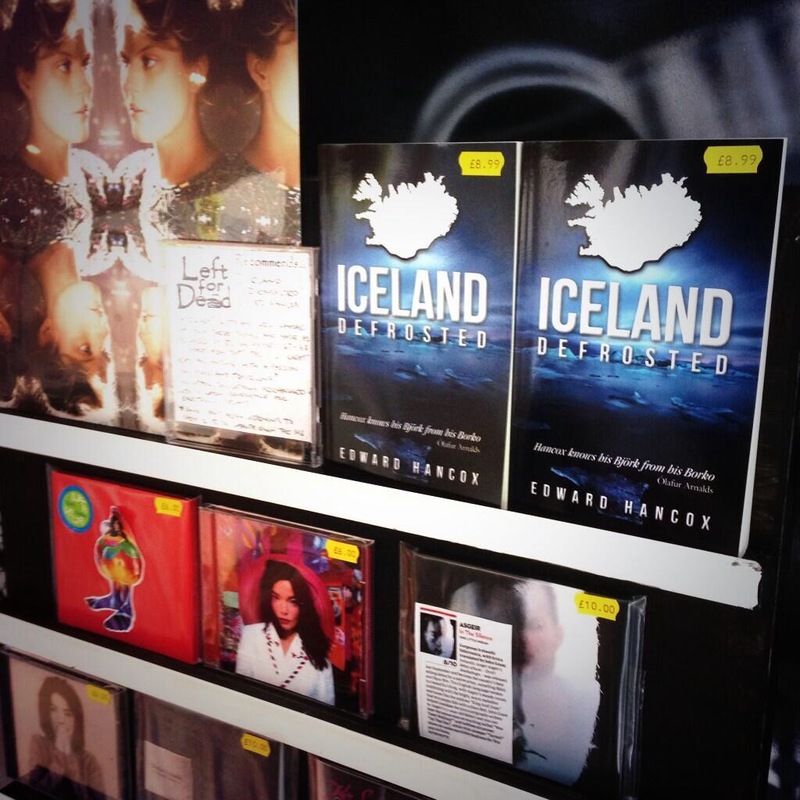 Edward Hancox: My debut book, Iceland, Defrosted is stocked in 10 shops now, and is doing very well. The support of independent shops has meant a huge deal to me. Edward Hancox: No, I don’t think so. I have the contacts and confidence now, which would make it much easier. How about this title for an icebreaker in bookshops? Edward Hancox: Reviews. Urgh. I hate them. I have tens of wonderful reviews on Amazon for my book, but a single cutting, malicious review can wound me for days. I need to grow a thicker skin. Edward Hancox: Vine. It’s like Twitter but with 6 second videos. I’ve tried it, but not mastered it. I think it has huge scope and potential – I need to sit down and figure it out. 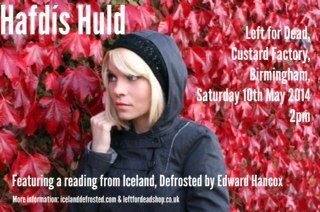 Edward Hancox: I’m giving a reading at Left for Dead in Birmingham – the record shop I mentioned – on the 10th May. It’s worth mentioning, because I’m appearing with a singer/songwriter from Iceland who I admire hugely. She’s called Hafdís Huld and appears in my book, so the whole thing has a nice symmetry to it! 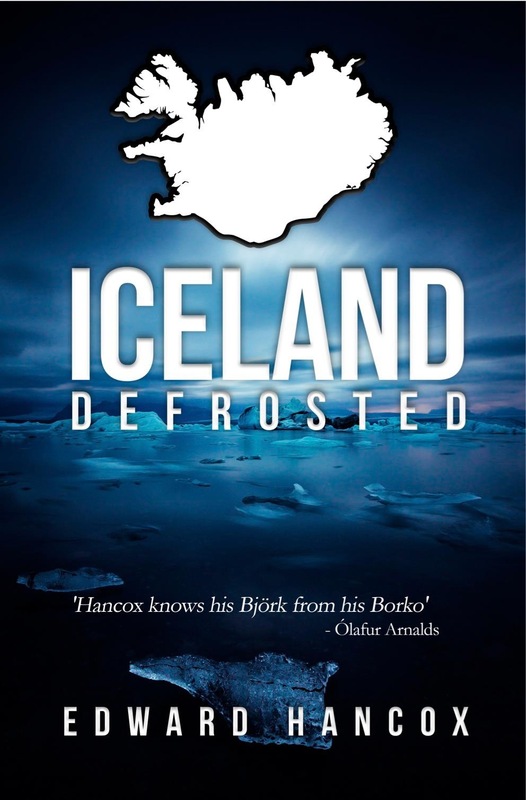 Find out more about Edward Hancox and his bestselling book on his website: www.icelanddefrosted.com. I’m delighted to welcome David Ebsworth to Off The Shelf today for a stop on his global tour promoting his latest historical novel, The Assassin’s Mark, which was one of the best books I read last year. Dave’s going to tell us today how he uses his author newsletter to keep readers informed about his work and to prime them to buy, recommend and generally spread the word about his historical novels. 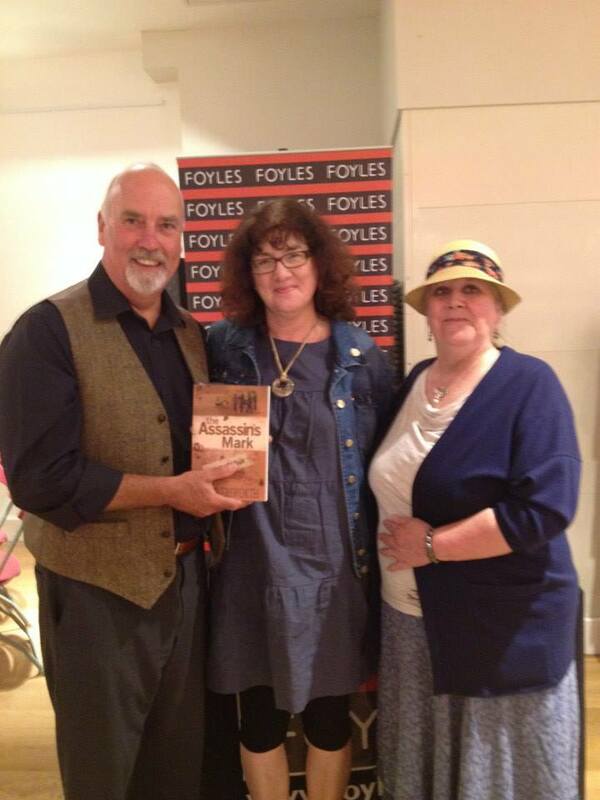 I was lucky enough to attend one of his author talks about The Assassin’s Mark at Foyles in Bristol last summer, and his detailed, passionate account of how he came to write his novel and the history behind it was full of infectious enthusiasm. I thought I had a reasonable knowledge of the events of the Spanish Civil War, having studied it at school and read Orwell’s Homage to Catalonia, but Dave uncovered the most extraordinary facts that played a central part in his novel. Who knew that Franco organised tourist bus trips around the battlefields while the war was still going on, in American-style yellow school buses? The hero of The Assassin’s Mark, a British press reporter, goes along for the ride, and soon he has a murder to report on. For more about the novel, read my review here – or visit Dave’s website, www.davidebsworth.com. My introduction to Dave actually came via a recommendation for his newsletter from our mutual publisher SilverWood Books, when I was researching my book promotion handbook, Sell Your Books! Publishing Director Helen Hart suggested I check out Dave’s newsletter as a model of direct author marketing. Having read one issue, Dave won me over, and I immediately became a subscriber. His newsletters are so pleasant to read that I open and read every issue all through, immediately on receipt – and not many messages in my inbox get that treatment! How long have you been writing a newsletter and why did you set it up in the first place? Well, thanks for hosting this, Debbie. I set up the newsletter in January 2012. My first book, The Jacobites’ Apprentice, was due to be published and I had started looking at ways to market the novel. Helen Hart at SilverWood had advised me to subscribe to the free newsletter called The Book Marketing Expert produced regularly by Author Marketing Experts. Apart from all the other excellent book promotion and publicity tips offered, it struck me that a newsletter of that sort was exactly what I needed myself – mainly because I was sold on the idea that I needed a more intimate and “one to one” contact with friends, family and supporters than I could achieve through a blog. How often do you send it and is there any particular day or time that seems to work best for you? The newsletter goes out on the first of every month, come rain or shine, at about 7am (UK time). It took me a while to realise that there wasn’t really a “best time” for this since lots of my readers are scattered across time zones from India to the USA, so I simply picked the hour that suited my own work schedule best. How do you manage the mailing list – do you use MailChimp or something else? I get a lot of stick for this, but actually I manage the whole list myself. There’s nothing wrong with MailChimp at all, but I like to be able to reassure subscribers that I use no third-party provider whatsoever and that the addresses are all “blind copied” so that nobody but myself sees them. With all the fears that exist just now around online security, I feel happier doing it this way. So I simply type up the newsletter, mail it to myself and BCC it to a batch of recipients – normally around 40 at a time so I don’t fall foul of any spamming controls. It takes 2-3 minutes for each batch, no more than that. And the whole process takes me less than an hour. What software do you use to format the newsletter, or is it a simple email? After you’d initially set up your mailing list and newsletter format, how much time do you spend per month managing it? It varies. Subscribers end up on the list in two main ways. First, whenever I do an “event”, I always make sure (of course!) to have my Visitors’ Book with me and I specifically invite people to write down their e-mail addresses. That bit’s easy. I just add them when I get home – only a few minutes work. But second, I monitor my presence on Goodreads a lot. So, whenever I arrange a Giveaway on Goodreads, lots of readers “add” the book to their own lists. Last time, there were around 600 who “added” my second novel, The Assassin’s Mark. There’s a facility to message each of them, although you have to be careful that this also does not fall foul of the anti-spamming guidelines. So I just send a brief thank-you for adding my book and ask whether they’d like to also receive my newsletter. From my experience, around 10% say yes. It’s a very time-consuming process, and the Goodreads in-house security system will only allow you to send a limited number of messages each day. I just stick at it until the job’s done – maybe an hour each day for a few weeks. But obviously that’s only a couple of times each year. How do people react to your newsletter? Do they email you back with a reply? Do you notice a boost in sales or website hits after you’ve sent one out? Because it goes out as a personal e-mail, with only me and the recipient showing on the address lines, it seems to encourage responses. People will “chat” with me about something in the contents, exactly as with any other e-mail. And I often have a genuine “call to action” in there somewhere. I usually struggle, for instance, with titles for new books so I’ll ask subscribers to “vote” for various choices – usually with very positive results. I can’t honestly say that I’ve seen any boost in sales from the newsletter (I’m not that good at monitoring sales figures anyhow!) but certainly an increase in website hits. What are the three biggest benefits for you of running a newsletter? First, it helps me to both drive and monitor my activity. In other words, it gives me a chance to list both what I’ve done over the previous month, as well as what’s coming up in the following few weeks. If I struggle to fill the newsletter, I know I’m not working hard enough! Second, it helps me to spread the word about forthcoming events on a one-to-one basis. Third, it’s my favourite way to engage with readers and supporters – once again, at a very personal level. What is the most surprising result you’ve ever had from one of your newsletters? The most gratifying? The most negative? I have to be honest and say that I can’t think of a single negative result since I’ve been running this. The most surprising, gratifying and amusing, I suppose, was the response to a “call to action” I made about Goodreads listings. I guess everybody knows about Goodreads, and that the site has a Listopia section. So you can look up the books that readers have voted to include, for example, as “Best Historical Fiction”, “Best Romance” and so on. I’d not really looked at these very much but somebody drew my attention to the fact that my second novel, The Assassin’s Mark, was showing on the “Best Books about the Spanish Civil War” and at number 10. Well, that was OK, but I thought we could do better, so I invited my readers to look at the list and, if they wanted, to vote for Assassins. As a result, it’s now number 1 – ahead of both George Orwell and Ernest Hemingway. This doesn’t mean much in terms of pure book sales, but it’s a wonderful tag line, isn’t it? 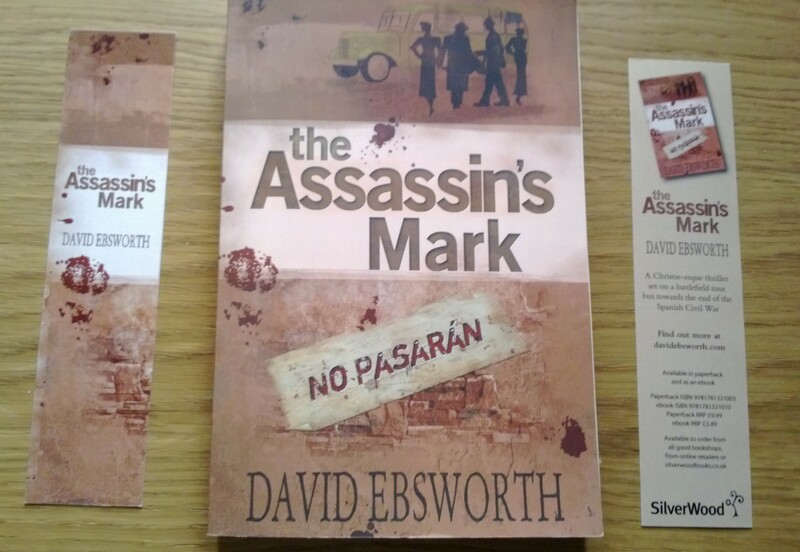 “The Assassin’s Mark – Voted by Goodreads as the Best Book ever written about the Spanish Civil War”! How much has the mailing list grown or fluctuated since you set it up? I had just 25 subscribers when I started, and the list has now grown to almost 600. And I’m pleased to say that I’ve only ever had one person unsubscribe. What would be your three top tips to any author setting up a newsletter of their own? What are the most popular elements of your newsletter? Do you run any subscriber-only offers? Do you give subscribers sneak previews of events and releases? Anecdotally, I think the most popular elements are the “calls to action” since I think readers quite like to feel close to their authors. To “know” them, almost. And I certainly give subscribers sneak previews of events. But I’ve only recently started to think about subscriber-only offers. Mainly this is because I have badly neglected Twitter as a marketing tool, but have recently been persuaded to use this a bit more. So I’ve brought in some help from an organisation called PubShelf who are beavering away to boost the number of my followers. At the moment, I’m putting on an extra 100 followers each week, but I really need to drive these towards my books – or, better still, to my newsletter. As a result, my website www.davidebsworth.com now has its own Giveaway page. A series of tweets will direct people there to receive free copies of exclusive short stories (my own, naturally) and all they need to do to receive them is sign up for the newsletter. Simples! Why do you need a newsletter as well as a blog? Because I’m hopeless at maintaining a regular blog, of course! Seriously, I have huge admiration for those authors who manage to maintain their weekly or bi-weekly blogs but I’m just no good at it. I tried – really I did! And, to be fair, I do still blog as often as I can, both on my website and on Goodreads. But the newsletter is simply more manageable for me. And, as I’ve already said, I feel as though it gives me far more two-way personal contact than I’ve ever experienced from the blog alone. There must be a thousand-and-one ways to improve on this model but, so far, this one has worked very well for me. Thanks, Dave, for that detailed and inspiring account of how you’ve made such a success of your author newsletter. There are lots of inspiring ideas there, and you make it sound relatively painless and easy, provided the author is prepared to invest the necessary time. Good luck with the rest of your book tour, and I hope it brings you many new subscribers, as well as book sales! If, after reading this interview, you’d like to sign up for David Ebsworth’s newsletter, please feel free to drop him an email – you know he’ll be glad to hear from you! To read my review of The Assassin’s Mark, click here. I love attending book launches and sharing the excitement of the author as he or she unveils shiny new books before an appreciative audience. Even better when the author dreams up a quirky way to make the event especially memorable, persuading more of their guests not only to buy more copies, but to keep spreading the word about their book days, weeks and months later. This summer, two book launch events particularly stood out for me, in completely different genres – and I’ve been telling friends about them ever since. 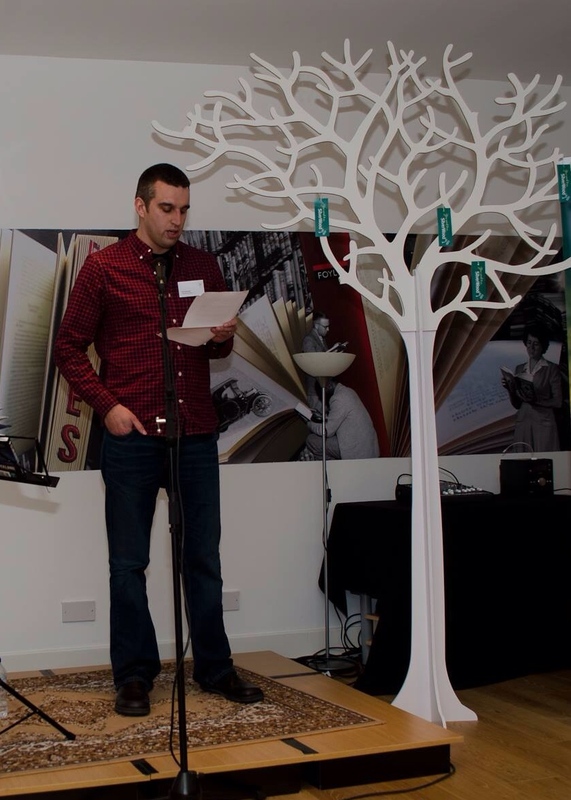 By chance, both were staged in the same venue: the smart upstairs events area in the Bristol branch of Foyles. Smart, but neutral – and thanks to clever planning by the two authors concerned, the tone was entirely different for each launch, and totally appropriate to each book. Historical novelist David Ebsworth transported his audience to 1930s Spain to get us in the mood for the story of his thriller, The Assassin’s Mark. Spanish music was playing as we arrived, and we felt even more welcome when we spotted a mouth-watering display of genuine tapas, which looked as if it had been personally imported from Spain. Smiling all the while, and in front of an intriguing display of genuine artefacts from the era, which he occasionally passed around the audience for a bit of hands-on involvement, David talked at length and off the cuff about the historical and political background to his story. The novel takes place in the unlikely but true-to-life setting of a yellow tourist bus visiting the battlefields of the Spanish Civil War. Spanish food and drink feature quite often in the story as the motley array of bus passengers make their fateful journey, and plying his audience with the same was a great way of involving us at a sensory level. David’s enthusiasm was so infectious that by the end of the talk I was almost ready to buy a ticket for the next trip! Historical novelist Lucienne Boyce took a more formal approach at the launch of her non-fiction account of The Bristol Suffragettes. When we took our seats, we discovered on each chair a songsheet for the lyrics of the Suffragette movement’s anthem – a hearty rallying cry. Before her prepared speech, wearing a purple and green Suffragette rosette on her chest, Lucienne led us all in a rousing chorus of the song, aided and abetted by Foyles’ Events Manager, who had gamely dressed in the Suffragettes’ official colours of green and purple to add to the sense of occasion. Although Lucienne’s talk was much briefer than David’s, it was powerful. As we sat comfortably in the middle of modern Bristol, her words took us back to the turn of the previous century when normal Bristol citizens might have found their daily business, in just such a shop as Foyles, disrupted by protesting Suffragettes, hurling missives and making their voices heard. Apparently not even Winston Churchill was safe from their protests when he arrived at the nearby Bristol Temple Meads railway station. Within moments, Lucienne had completely changed the way we looked at our surroundings, and with the innovative walk map of the Suffragettes’ Bristol provided inside each book, she equipped us to continue the tour after the launch event was over and the singing had stopped! Each author’s creative approach to their book launch, ably assisted by the very helpful Foyles’ team, helped ensure a long queue for book purchase and signing after the event was over. Both events set a great example to other authors in the audience who had their own launches to plan. Both of these authors’ books were published by SilverWood Books of Bristol. Many thanks to SilverWood Books for the use of their photos here. What’s the most interesting and creative book launch you’ve ever attended? Please share your experience via the comments form below, and if you’d like to email me any pictures, I’ll add them at the foot of this post. 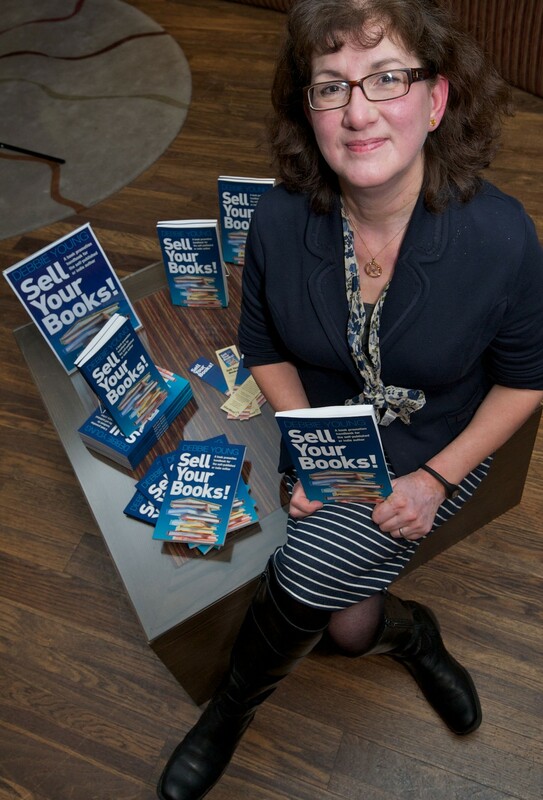 For more ideas about how to plan an effective book launch, see Chapter 9 of Sell Your Books! PS Lucienne Boyce will be putting in another appearance at Off The Shelf on Saturday, as part of a blog tour of her historical novel, To The Fair Land. She’ll be talking about creating atmosphere not only at book launches, but within the pages of her novel too.